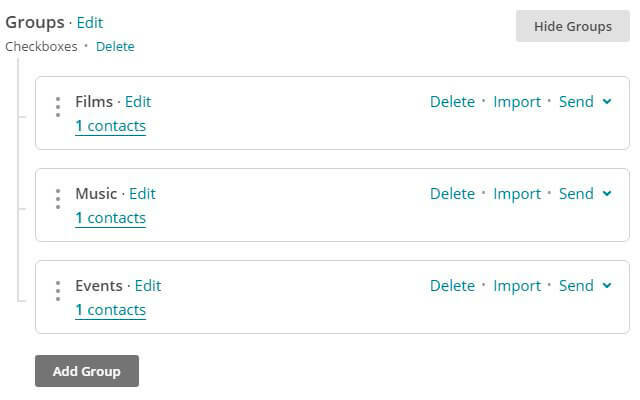 Create MailChimp Groups list by this tutorial. Activate MailChimp service in your PopUp plugin by this instruction. On the Lists for Subscribe add your MailChimp list. 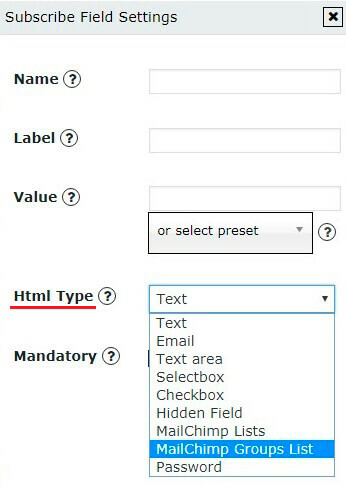 The field with Name type will be automatically created. Set the Label. You can also set Value and enable Mandatory if you want.